What are risks? Google defines risks are defined as a situation involving exposure to danger. Risks have I taken any! Absolutely! I am going across the globe without my husband. That is a huge risk. I know that I have the Lord with me every step of the way! I will be safe! Risks what kind of risks do you take in everyday life? I have taken many risks on my fitness journey. The first one I took was marrying Frank even though I knew we loved each other. We met online somewhere I never thought and nobody ever thought I would meet him. God always has a plan. Frank has been the biggest blessing in my life. I was telling him today that none of this would be possible if it wasn’t for God and him. Frank purchased Jolene and I our first training package. The second one was to learn to swim. The third getting on my bike after being a child falling off and never running competitively. All 3 of these risks have brought me greater joy than I could have ever imagined. In our church service last Sunday our Pastor talked about risks. He talked about a purpose driven life and taking risks for the Lord. When we face him what risks did we take for the Lord. I believe my job is top inspire others! When I started my fitness journey I had no clue that I would take the risks I have taken. Where did it take me? To ITU World Championships Gold Coast Australia! I never dreamed I would be a Personal Trainer, Triathlon Coach, etc! The risks I took are being used to help others achieve their goals on their journey! I used to compare myself to others and they’re lives especially Trainers and Coaches. I wanted to be successful. Like our Pastor said if we would not compare ourselves to others and keep our eyes fixed on the Lord and not want what others have but embrace what the Lord has for us. My lifestyle doesn’t look like someone else’s. We all are given different gifts and we need to learn to embrace them and use them for his glory. Yes man writes my paycheck but God has a hand in what happens in my life. He orchestrates the opportunities I have but what I do with them he gives me that choice. So am I going to continue to take risks, absolutely?! I have to use my discernment. I take a risk every time I toe the line to a race. My focus is to race to the best of my ability and give it my all. My husband always tells me get in the front. I used to be intimidated but I take risks and use my gifts by others around me pushing myself to do my very best. I take the risk on someone passing me, being faster than me, etc. There are and will continue to be. The risk I take is not investing. What are you being called to invest in? 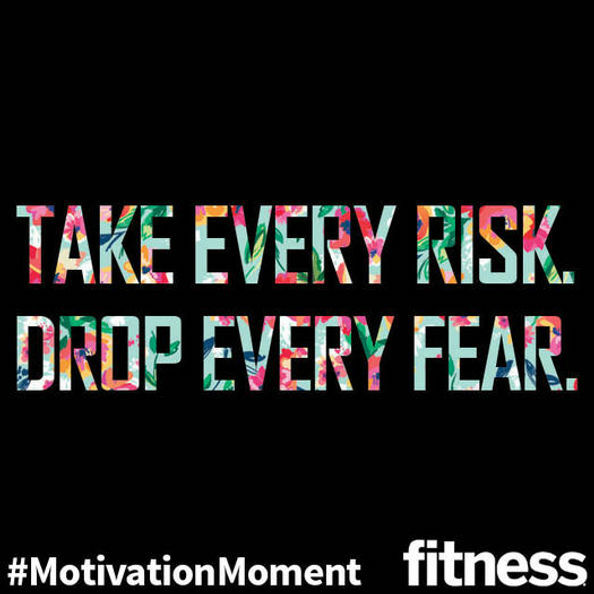 Tell me about your risks you have taken or need to take in your fitness journey!